Abhishek wrote: How come I missed this thread !!! 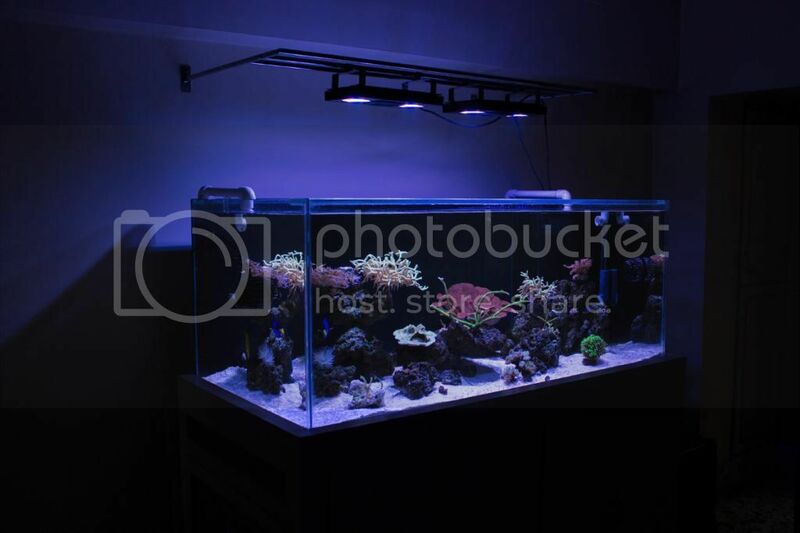 With so many people asking for a full tank shot, here is an old one.. Hope you guys like it.. Thanks a lot Pinaki da. You should stop procrastinating and do it, it is worth every penny. On a different context I will be modifying my sump's drain too,mainly to reduce noise and bubbles. I already have a Durso on the overflow and its superquiet. I guess a reverse Durso on the drain will negate out these issues. Keep me updated on what you are thinking. Thanks a lot Abhishek da. Yes , literally months of planning. I will post more details about the fish, rockwork, lighting mount and stand. The fish count in my tank is relatively low. Rock work is looking very nice. It's finally great to see your tank. Looks great. All the inhabitants looks very healthy. After going though countless threads, a MACNA and a few books, I have started to understand the salty side a bit. I am not too far from entering the salty world. Will be following your thread closely here. Thanks for all the photos too. Thanks Sumer for those appreciative words. I am quite jealous that you attended MACNA , I hope my company sends me to the States soon. Click on the image to get a full view, I had to attach it since the site was dampening image quality. A neat tank and healthy tank. Everything is looking very attractive.